| Heartlessgamer.com | Lord of Ultima, browser MMO? I received an interesting email from EA this morning. 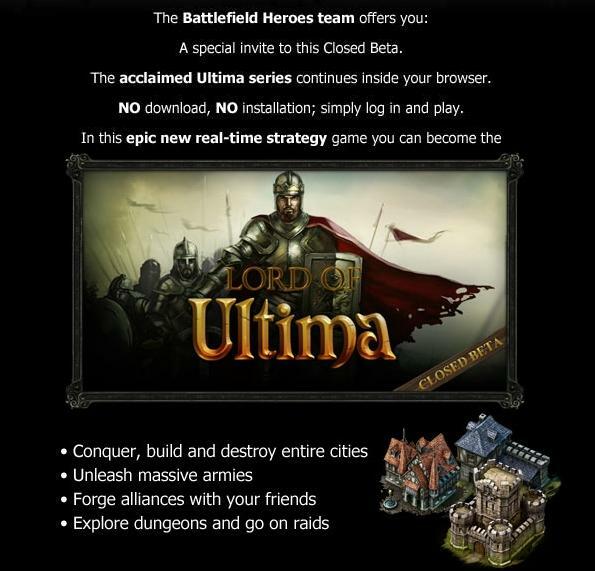 It was a closed beta invite for a new browser game titled Lord of Ultima. I received the email as a newsletter from Battlefield: Heroes. Has anyone else received an invite or even know what this game is all about?